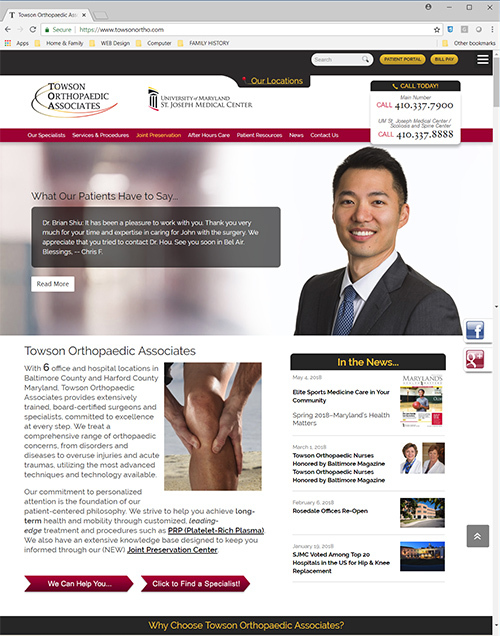 In addition, we’re happy to announce our NEW Joint Preservation Center which features Towson Orthopaedic Associates’ proactive approach to joint health, and the (website) introduction of Platelet Rich Plasma Treatment, also known as PRP. More on these exciting topics coming in the near future! We encourage you to explore these new features and be sure to Contact Us if you have questions about our orthopaedic services.